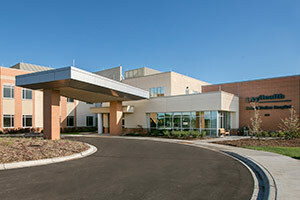 UW Health Rehabilitation Hospital is a free-standing, 50-bed acute inpatient rehabilitation facility located on the east side of Madison, Wisconsin. Our rehabilitation hospital opened in September 2015 and offers specialized programs for people who have experienced stroke, brain and spinal-cord injuries, amputations, complex orthopedic injuries and other conditions requiring inpatient rehabilitative services. Our goal is to help patients achieve their highest level of recovery with a goal of returning home as soon as able. Learn more at www.uwhealthrehabhospital.com.